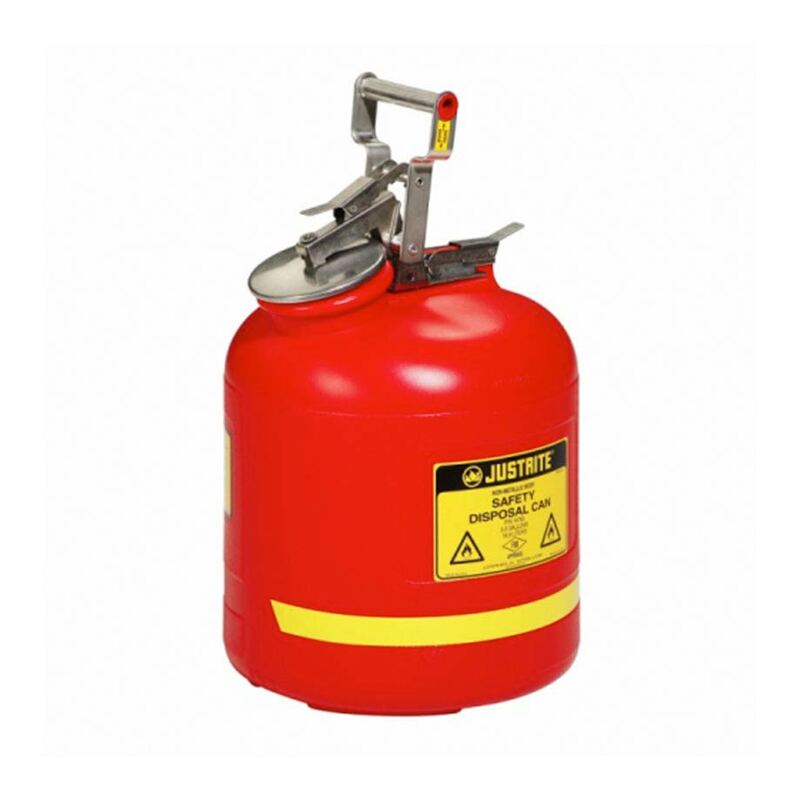 Specific for Dispensing In Laboratory Applications Designed for safely dispensing hazardous liquids into test tubes, small flasks and beakers. 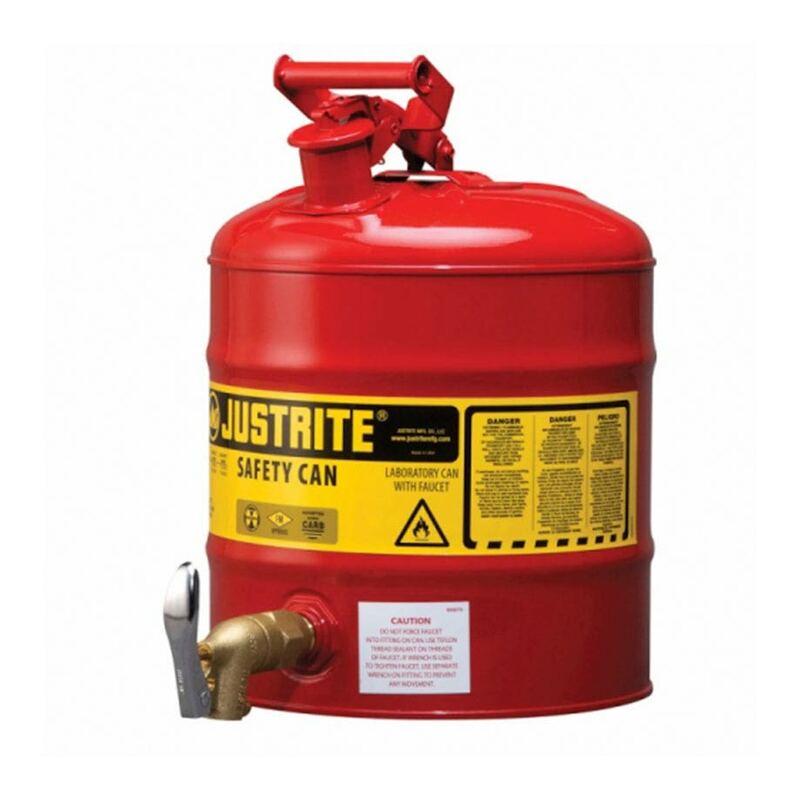 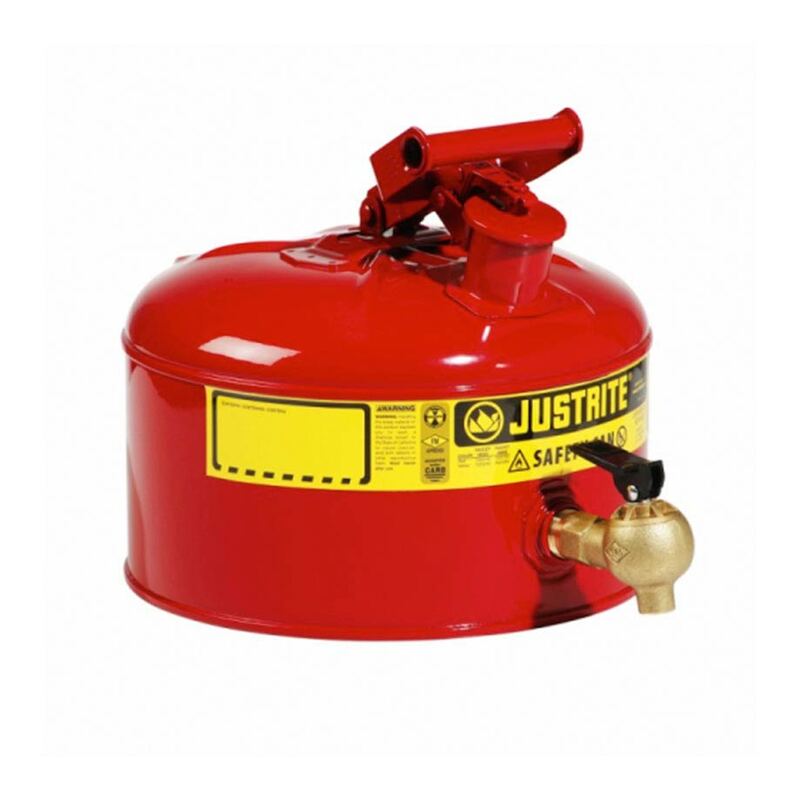 Constructed to Withstand Acids & Caustics Made from high-density polyethylene or Translucent (HDPE) our disposal cans provide superior chemical resistance and leak protection as it resists acids and caustics. 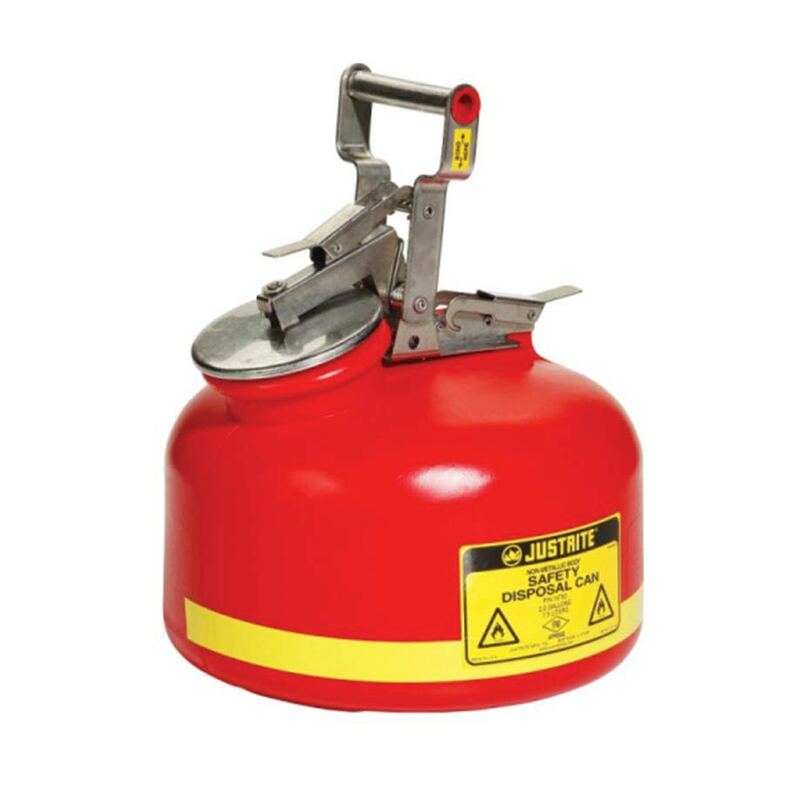 Superior Closing MechanismsThe cans and self-closing faucets along with the fill spouts or pressure relief valves within the lid create a smooth flow and trouble-free dispensing. 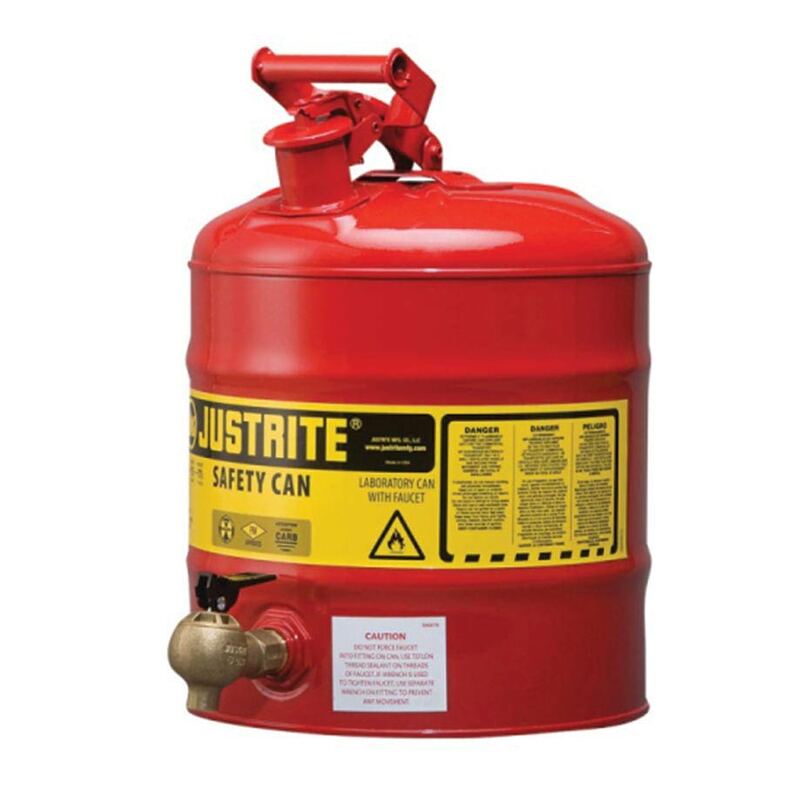 No Lifting Required During DispensingTo ensure easy lifting and reduce the likelihood of injuries occurring when dispensing from the cans our shelf Cans have a faucet mounted two inches above the bottom. 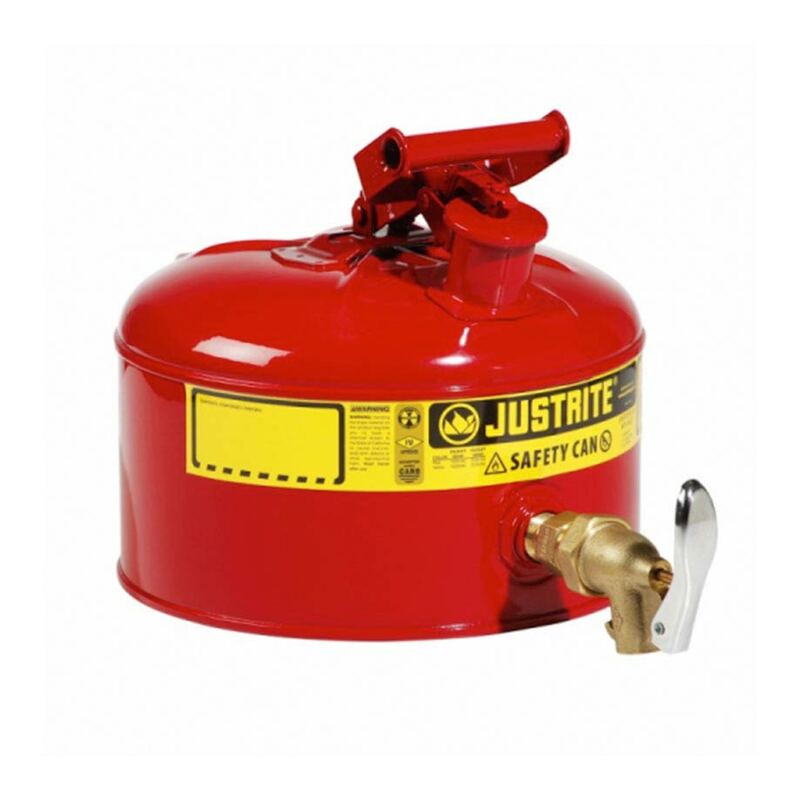 FM Approved and stainless steel flame arresters.Our laboratory cans come with a FM approved rating thank to our fill spouts being able self-close along with pressure-relief caps and stainless steel flame arresters.